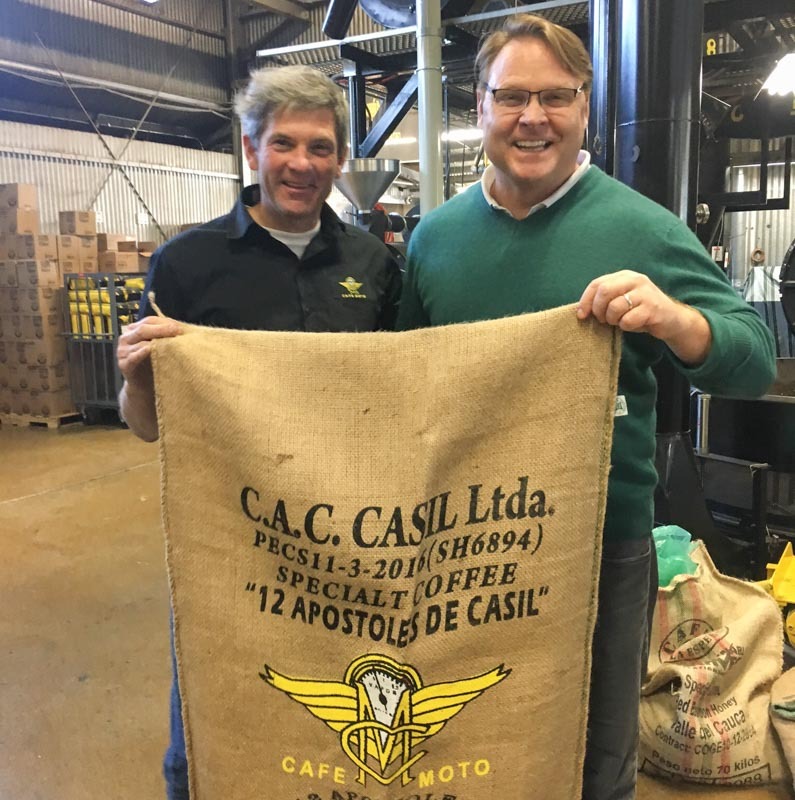 Being located in sunny San Diego since 1990, it would make sense that roaster-wholesaler Cafe Moto makes its cold-brew program a priority, offering some dazzling options at its cafe and for its wholesale customers. 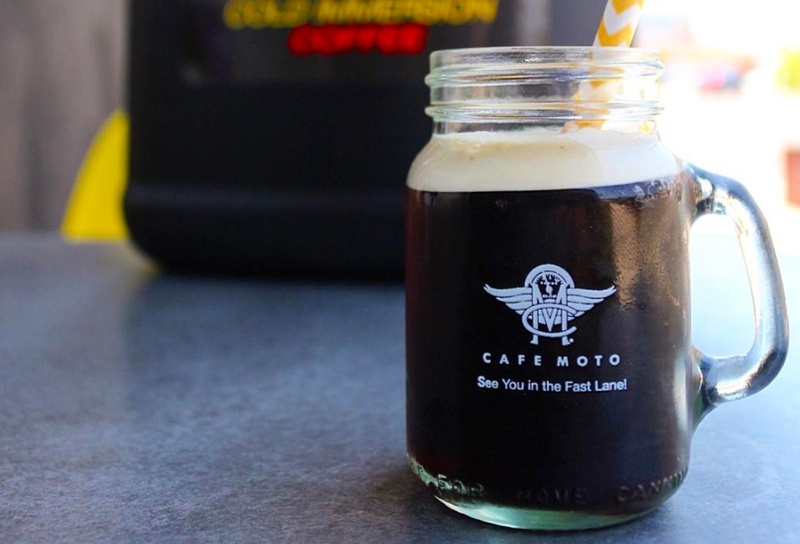 We talked to Cafe Moto’s founder, Torrey Lee, about his multi-tiered cold brew program, the process of ramping up production, what qualities he looks for in the coffee he chooses for cold brew, and what he’s learned along the way. Sustainable Harvest®: How did you first get into cold brew? 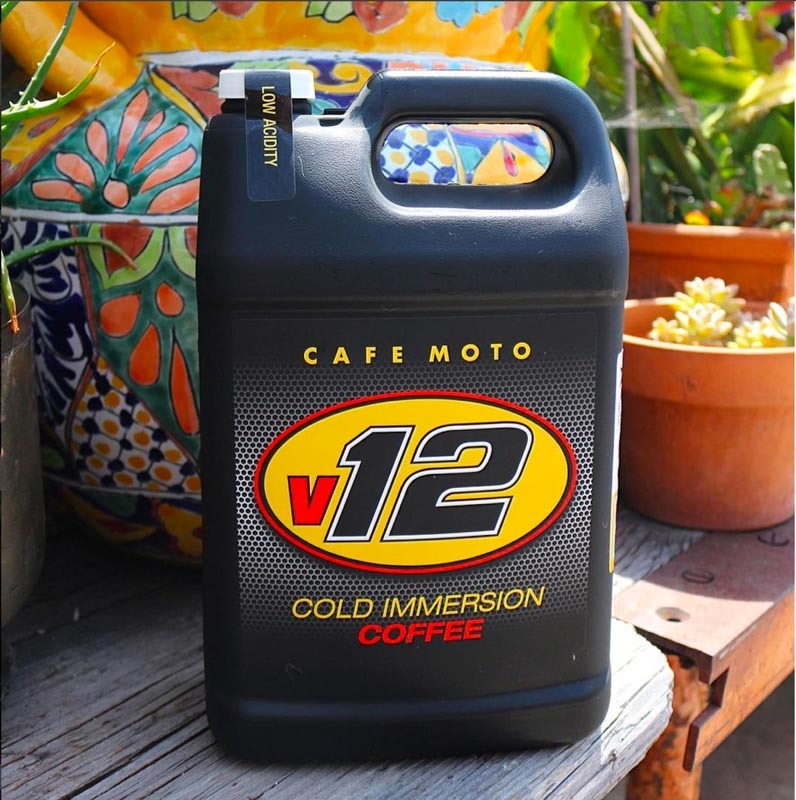 Torrey Lee: Coming from a coffee roasting family, the classic overnight immersion steeping method of making cold brew wasn’t new to me, so it has been on the bar at Cafe Moto from the beginning in 1990. When I saw glass drippers and enjoyed the simplicity and taste, we immediately added them to our cafe menu as gravity towers and stocked the store shelves. They’re sleek, peaceful, and fun to watch, so it gives customers a “question coffee” moment at the bar. SH: What’s your cold-brew lineup look like? TL: We have designed, from the traditional bucket method, a scaled “cold immersion” batch method for the bulk product, V12. After filtration, we fill 1- and 2.5-gallon jugs and 5-gallon PET kegs, all sold through the store and wholesale clients. So the bar offers rotational origins of gravity tower drip batches, Stock V12, and a Nitro Blown V12. We also move one called the Custom V12, which has organic vanilla cream. SH: What kinds of coffees do you gravitate toward for cold brew? TL: For the gravity dripper we rotate coffees, so whatever it is, it is. Usually the baristas use the production samples and mix it up so they’re always trying new things. For the V12 we use a blend, Fillip Rally. The cold immersion creates such a smooth, silky body that we start with dense, sweet, higher acidity and some body, staying away from the more herbal selections. Because stewardship of the planet is in our core values, we maintain Kosher, Fair Trade, and Organic certification for the V12 line. My dad taught me full city roasting, so that’s what’s normal for Cafe Moto. For the V12, we go a bit further, and people say it offers a barrel-aged Scotch characteristic with a slight smokiness to the blend. For me, it’s very important to have a repeatable, consistent, strong flavor profile, so coffees that can do that are chosen. SH: What have you learned about cold brew over the years? TL: Well I’d say we’re always learning, but at the same time, we didn’t think about it as a learning process at the beginning. We’ve been making cold brew with our coffee since we started Cafe Moto in 1990 and have been teaching it to our wholesale accounts for many years. It’s become so popular so quickly that now the most important thing we’re learning is how to increase production while maintaining consistency. It’s a challenge, but we’re moving along and working hard to get the best possible products, like Nitro V12, out in San Diego. Like to get experts’ insights in your inbox? Subscribe to our newsletter and we’ll keep you up to date with specialized content and insights.